bids you a warm welcome to this issue of Whispers. Hello everyone! Welcome to Whispers, the newsletter of the Dereila Nature Inn - your cyber nature centre. As we move into autumn we hope that this newsletter finds you well and rested and that the summer provided you with many exciting experiences in the natural world. Our newsletter list of subscribers continues to grow! Thanks to everyone for subscribing and supporting our project. We've all heard our own echo. 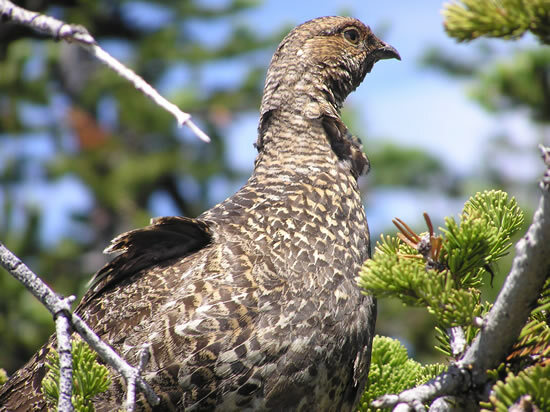 Did you know that there's a group of noisy birds that are echo free? Can you name that group? These ancient plants offer an astounding beauty to the close observer. Learn about some of the fascinating flowers and fruits of these woody plants on this walk through the woods. Find out about some of the smaller and hardier wildflowers. Discover some of the secrets created and revealed by the changing tides. 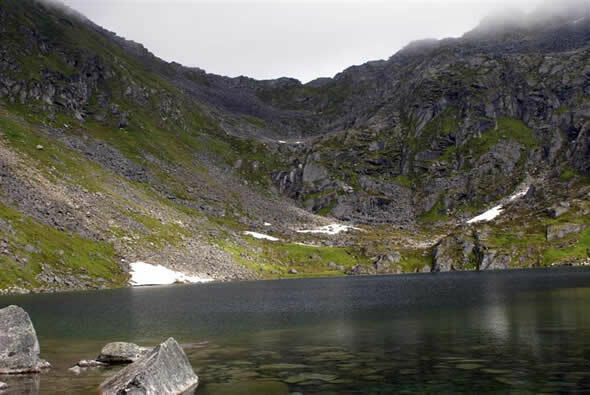 This picturesque alpine lake is near to Hatcher Pass in Alaska. Many thanks to Jackie M. from Palmer, Alaska for sending in this serene image. Our second image this month is a little more graphic. Kathryn M, of Calgary captured this amazing image of a Goldenrod spider feasting on a butterfly. Thanks for the submissions Kathryn and Jackie! 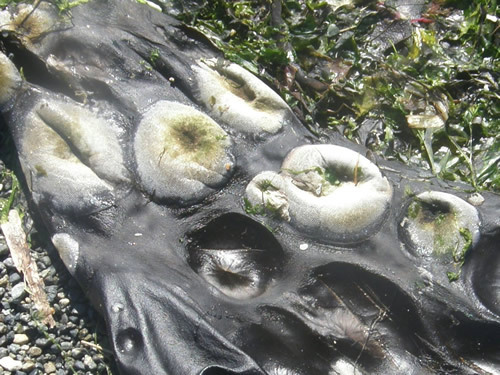 This month finds us wandering down at the sea shore and finding a rather unusual specimen. This is a strange group of animals that make their home on seaweed, mainly bull kelp. It's called kelp encrusting bryozoan, Membranipora sp. As you can see. occasionally the colonies get dislodged. 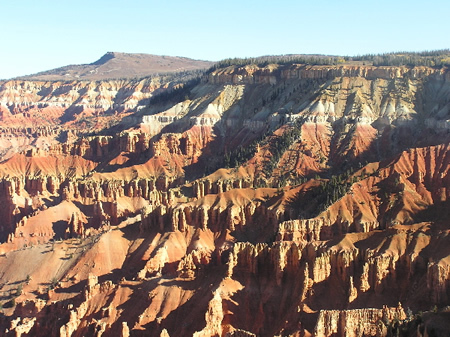 Cedar Breaks is a small National Monument in south-western Utah. Here an amazing ampitheatre, created by erosion, plunges over 2,000 feet deep from the top of the 10,000 foot high Markagunt Plateau.. The bowl-like formation is a fascinating feast for the eyes of colourful spires, columns, arches, canyons and hoodoos. 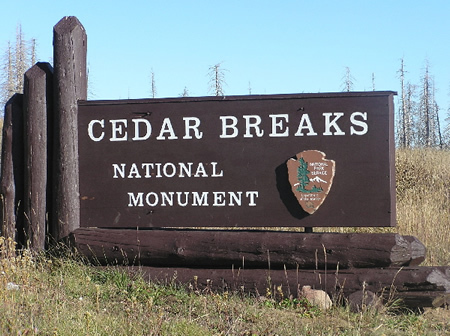 You can see more of Cedar Breaks by visiting our special places page. Number 1 - "Will it be much longer?" Number 2 - from the Doris Day song: "Will I be pretty? Will I be rich?" Sometimes, there's a story that goes with the photograph. The story behind these images was rather strange. Being so used to picture taking using the viewfinder, I find it crazy when people hold their digital camera at arm's length, with gravity pulling at their arm. Since they are not being able to see anything because of the sun on the screen, they end up waving their arms about trying to provide shade to find the subject! A solution to this is to simply use the viewfinder. 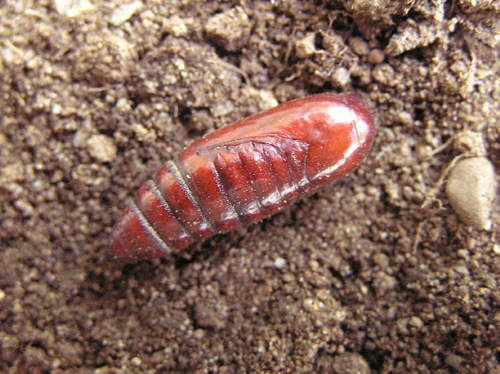 One is now forced to get down to photograph insects, and this can have pleasing results. 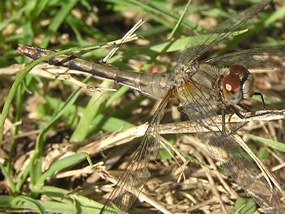 To take a photo of this dragonfly on the ground I had to get down low. While steadying myself with one hand, I took a couple of shots. 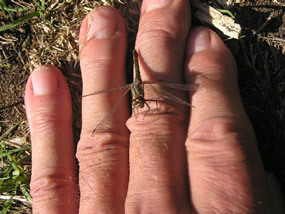 Then the dragonfly flew onto my hand and I ended up with another chance for a picture that we can use on our Caption This! page. This month's tip is for those of you who like to help the birds get through the long winter. Many of us put out seeds and bird food which is great for many birds. 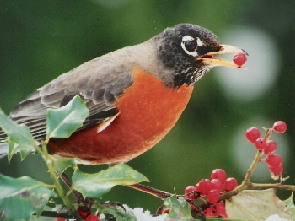 However, for those birds which enjoy fruits and berries, these foods may be well gone when January and February roll around. 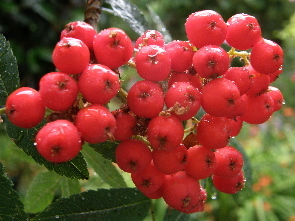 In the autumn, when the shrubs or any berry bearing tree are laden with their fruits, pick a few (or a lot). Place them in the freezer for when the colder months arrive, especially those snowy, wintry days. You can then put a few berries each day until things improve. Those berry-loving birds would really appreciate this little snack. What popular bird's echo can't be heard? It's those noisy ducks! 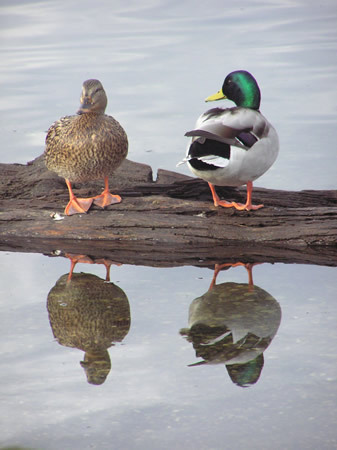 It is not known why that is, but it's believed that the tone of a duck's quack is close to that of the tone of the echo, making it very hard to hear. We're got several projects in progress for the next few weeks including more galleries, visits to special places and a photo feature on the magic of running water and the wonders found where waters flow. If there is something in particular that you'd like to see featured - please just let us know by e-mail. Our site map is a handy, straight-forward way to find your way around the Inn. You'll find a link to the map at the bottom of most pages, or you can visit the map here. We're very curious to know where members of our community are. Why not take a moment to send us a note indicating your location? It would be interesting to see how far-flung we all are! Just a reminder about and an invitation to visit our forum - The Nature Hut, where you can meet other nature lovers, upload your nature images and enjoy stories of sighting and experiences. Visit the Hut by clicking on the logo below. Our next issue will be in your Inbox in the first week of October. 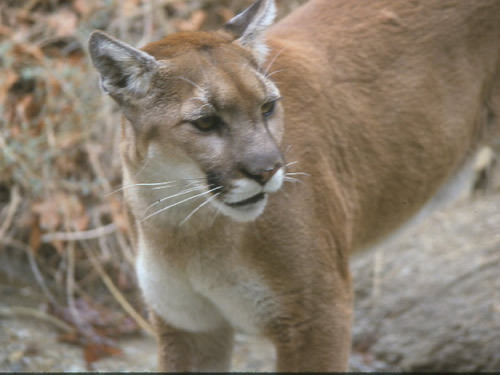 Until then, thanks once again for supporting this project and may your experiences in nature be wonderful!